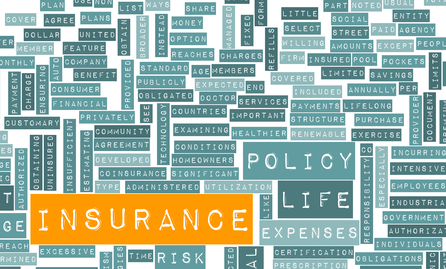 Consumers view life insurance as a necessary evil. The joke among life insurance marketers is that under the term “necessary evil” in the dictionary is a photo of your life insurance policy. “Life insurance has never been as inexpensive or easy to buy — especially with the anticipated growth of online and nontraditional purchasing channels — yet, millions of consumers continue to put off the decision,” says Marvin H. Feldman, chief executive of the Life Foundation, which conducts an annual survey on consumers and life insurance. “Insurance professionals and our industry play a critical role in helping to educate the public on the wide range of options available and should continue to work together to help people get the life insurance coverage they know they need. Still, even industry professionals know life insurance remains one of the most misunderstood areas of insurance. I’m young and don’t have a need for it. Most people eventually get married, Bet-David says. If you’re smart enough to buy it when you’re young and single with a low monthly cost, you’ll benefit in the long run. Also, you still have a need for final expenses, unpaid debts and medical bills. Only breadwinners need coverage. Imagine what it costs to hire a homemaker raising kids, Bet-David says. Now multiply that times the amount of years your kids will be under your support financially — that’s how much insurance the homemaker needs. Better to invest that money than buy coverage. You really can’t have too much life insurance. “The complaint is always, I wish I had more,” Bet-David says. “If you can’t afford a permanent policy the least you should do is protect yourself with a 30-year term” if age allows. My policy at the company I work at is plenty. It usually isn’t, since your life insurance value is normally two to three times your income. But even with that amount it’s very annoying when you get laid off from the company you’ve been with for 17 years, landing in your early 40s with no coverage and three dependents who count on your income. “Having your own policy outside of work protects you regardless of what your company decides to do,” he says.